This the central server for OpKey deployment. Needs port 3306 open for inbound connections. Needs inbound TCP access from Admin, Scheduler, Auth, Agent and Jenkins. Recommended configuration for 10 users: Win Server 2008, 4 GB memory, 40 GB free space on install partition. Used for managing Projects, Users, Roles/privileges, Execution Agents etc. Works with restricted user account. Needs outbound TCP access to DB and Agents. Recommended conf: Win XP+, 2 GB memory, 100 MB free space on install partition. Requires Java JRE 7+ installed on the system. This is the primary work bench. Used to author test scripts. Contains the recorders and Result viewer. Works with restricted user account but needs elevated admin privileges for FireFox recorder. Needs outbound TCP access to DB, Agents, Jira, AUT and optionally Internet for Cloud infrastructure like OpKey-Cloud, BrowserStack and pCloudy. Recommended conf: Win XP+, 4 GB memory, 100 MB free space on install partition. Used to schedule Test Suites to execute at some future point of time. Works with restricted user account. Needs outbound TCP access to DB and Agents. Recommended conf: Win XP+, 2 GB memory, 100 MB free space on install partition. Used to execute the test scripts written in OpKey. Usually installed along with automation tools like Selenium, Sikuli, HP-UFT etc. Needs appropriate plugins to work with tools. Works with restricted user account. Needs port 80 open for incoming connections. Needs inbound TCP access from Auth, Scheduler, Admin and Jenkins. Needs outbound TCP access to AUT, Jira and optionally Internet for Cloud infrastructure like OpKey-Cloud, BrowserStack and pCloudy. Recommended conf for single sequential execution: Win XP+, 4 GB memory, 200 MB free space on install partition. Requires Java JRE 7+ installed on the system. Plugins are installed Along with OpKey Execution Engine to allow integration of various test automation tools. Some popular plugin are Selenium-Webdriver, Sikuli and Appium. Each plugin has its own software and hardware requirements. A minimum of 4 GB memory is required. Most automation tools need Java JRE 7+ installed on the system. The application under test (AUT) is commonly the website you want to test. 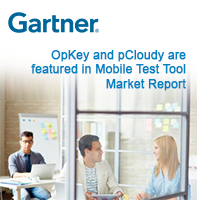 OpKey also supports automation testing of Desktop Applications and Mobile Apps. The AUT needs inbound HTTP access from Auth, Agent and optionally Internet for Cloud infrastructure like OpKey-Cloud, BrowserStack and pCloudy. You may choose to use Jenkins to Automatically build and deploy your application periodically (say nightly) or on triggers like on each code check-in. You can also install OpKey-Jenkins-Addon to initiate a test script execution on the new build. OpKey-Jenkins-Addon requires the Jenkins server/build-agent to be on Windows machines with a minimum of Win XP+, 2 GB memory. It needs outbound TCP access to MySQL database and executions engines. Jira is a popular issue tracker software. OpKey plugin for Jira allows you to link OpKey test scripts with Jira issues. You can track the pass/fail status of the test scripts directly from Jira. OpKey plugin for Jira requires inbound HTTP access from Auth and Execution Agent. OpKey Cloud is a hosted multi browser parallel execution environment. You can choose from hundreds of OS-browser combination to execute your test scripts in parallel. Auth and Agent make outbound TCP connections to OpKey cloud on server port 80. OpKey cloud in turn makes inbound connections to the AUT on whichever port the AUT is hosted on. Either the AUT should be on a publically accessible IP or you can use OpKey-Tunnel to route locally hosted applications to OpKey-Cloud. BrowserStack is a popular cloud based service which provides access to desktop and mobile browsers on pay per minute basis. You can use BrowserStack as an alternative to OpKey-Cloud. Auth and Agent make outbound HTTP connections to BrowserStack on server port 80. BrowserStack in turn may make inbound HTTP connections to AUT on whichever port the AUT is hosted on. Either the AUT should be on a publically accessible IP or you can use BrowserStack-Tunnel to route locally hosted applications to BrowserStack. pCloudy is a cloud based real mobile device provider. 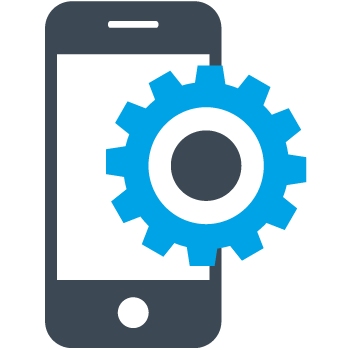 It provides a unique platform to test your mobile apps on real devices without setting up any in house infrastructure. Auth and Agent make outbound HTTPS connections to pCloudy on server port 443. The AUT for pCloudy is almost always the app bundle in form of Android APK or iOS IPA. The bundle is automatically transferred by Auth/Agent connection.